In January, 2001, our founder, Thomas Sheng, accompanied by our adviser and retired US Congressman from Louisiana, the Honorable Robert Livingston, visited with China’s Vice Premier, Li Lan Qing, in Beijing. Mr. Sheng requested permission to set up five schools in five Chinese cities where US Consulates are located for the purpose of providing an American-Style education to foreigners residing or working in China. Vice Premier Li approved the establishment of the first campus in Shanghai, with others to follow. 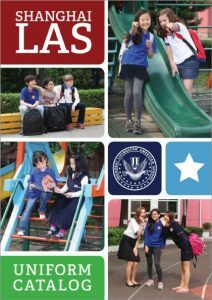 SLAS is the first school in China to implement an American educational system from pre-school through twelfth grade. Classes follow California’s public school curriculum and standards. This is especially beneficial for those wishing to continue their schooling in the US. The principal selected to open the school holds a doctoral degree in school administration and has had over twenty-five years experience as a school administrator in one of the highest achieving school districts in California. All SLAS teachers have been selected for their teaching experience and success. In order to produce outstanding students, SLAS must begin with distinguished educators. Our school places a great deal of emphasis on technological literacy. In today’s high-tech world, it is imperative that students excel in the use of computers. All students are also exposed to the arts, humanities and sciences, as well as ethics, since education must be coupled with character development during the maturation process. The SLAS student population comes from different parts of the world. For students who are not fluent in English, special intensive ESL classes (in addition to regular English instruction) enable them to become English proficient and participate in regular class activities in the shortest possible time. The first priority of Shanghai Livingston American School is student safety and well-being. Every effort is taken to ensure that the environment is conducive to the healthy physical and emotional growth of each student. 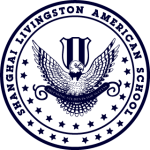 Furniture and equipment are pre-inspected for hazards. An ample number of school assistants are present at all times. The school grounds are even safer than at home. Parents are an integral part of the Shanghai Livingston American School community. The teaching staff encourages parent participation in appropriate activities, and invites parents to share concerns and suggestions in regularly held conferences.